Ven. Bengamuwe Nalaka thera yesterday said that Sri Lanka celebrated 70th anniversary of gaining independence from the British with the country at a crossroads for want of patriotic leadership. Declaring the eradication of terrorism nine years ago as Sri Lanka’s biggest achievement since independence, Ven. Nalaka alleged that the Sirisena-Wickremesinghe administration was brazenly pursuing a Western agenda severely inimical to the country. The Ven thera said so addressing the media at Sri Sambuddhaththa jayanthi Mandiraya. 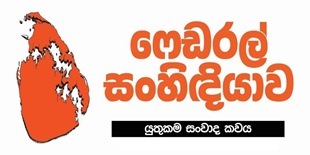 The monk was flanked by retired Navy Chief of Staff and former UPFA MP Rear Admiral Sarath Weerasekera, Manohara de Silva, PC, Dr. Gunadasa Amarasekera and Gevindu Cumaratunga, convenor of Yuthukama organization. Referring to Sri Lanka extending an invitation to Prince Edward, the Earl of Wessex and the Countess of Wessex for the main celebration at Galle Face, Ven. Nalaka said that the government should have invited Lord Naseby, whose recent defence of Sri Lanka in the House of Lords earned him love and respect of all patriotic Sri Lankans. 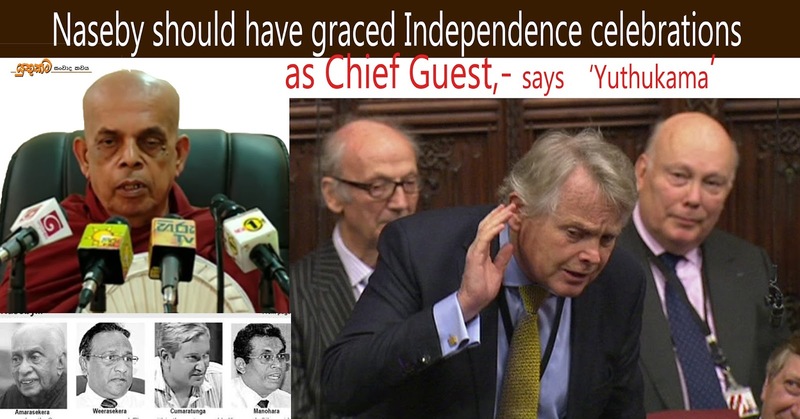 Lord Naseby was a special invitee at Independence Day celebrations in 2015. Unfortunately, present day rulers lacked vision or courage to invite a Britisher, who had given Sri Lanka a fighting chance to reverse the Geneva process. 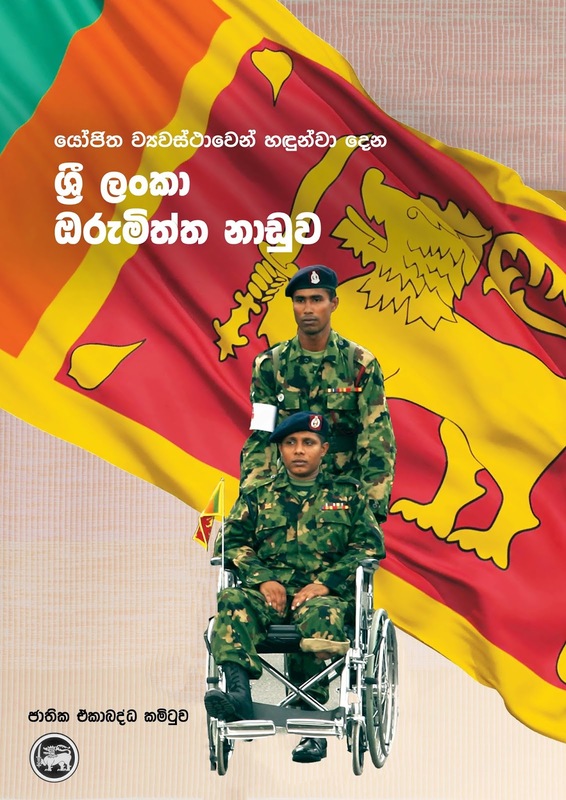 There couldn’t have been a better foreigner than Lord Naseby to be invited as the Chief Guest at the combined security forces parade, the Ven Thera said. Paying a glowing tribute to wartime President Rajapaksa and the armed forces for saving the country from terrorism, the Ven. 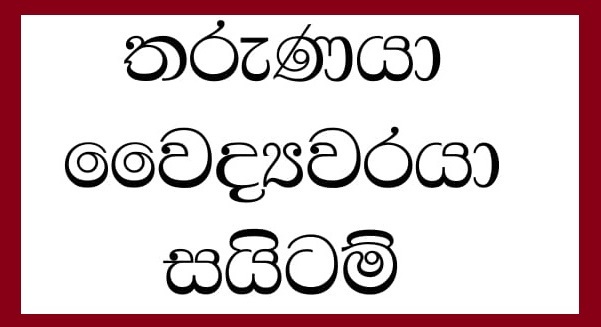 Thera alleged that the UNP-led government was busy weakening the state. 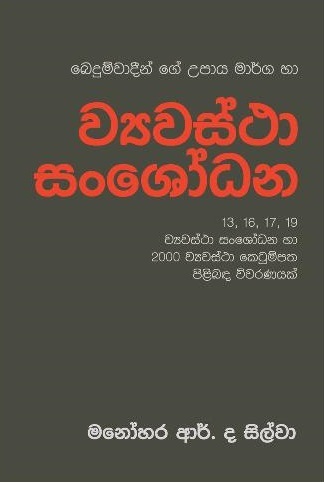 Emphasizing that Premier and UNP leader Ranil Wickremesinghe exercised real political authority, Ven. Nalaka said that President Sirisena carried out the former’s dictates. Ven. 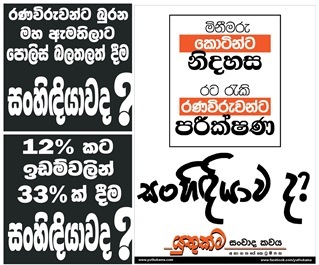 Nalaka flayed successive governments for not taking tangible measures to ensure vital documents, reports et al were released in Sinhala language. 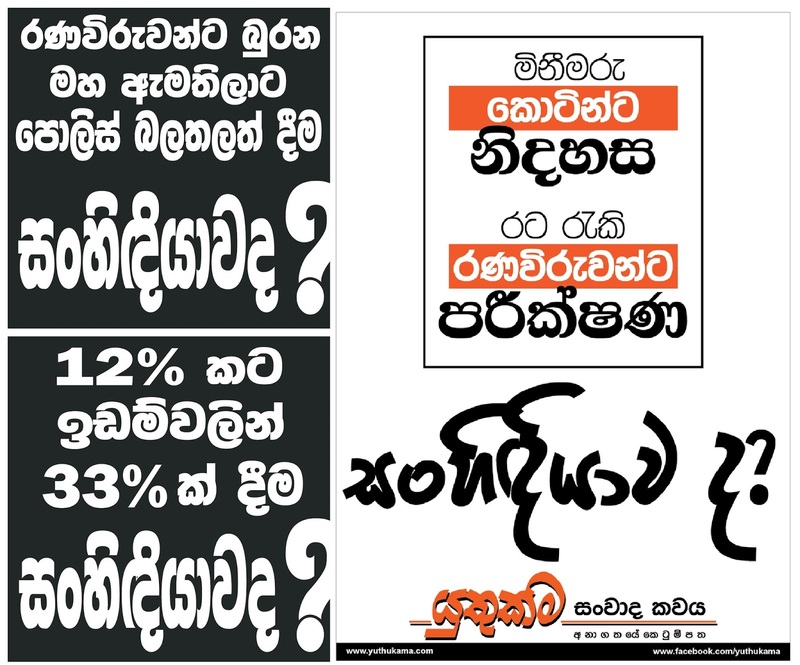 The erudite monk cited the government’s failure to release Presidential Commission report on treasury bond scam in Sinhala as a glaring example of government incompetence. Manohara de Silva, PC, warned of dire consequences unless the Geneva process was reversed. The PC alleged that the government had intentionally contributed to Western project meant to divide post-war Sri Lanka on ethnic lines by co-sponsoring Resolution 30/1 in Oct, 2015 against the country. Have you had ever heard of a government co-sponsoring an international resolution against its predecessors and the armed forces, de Silva asked, urging the people to be mindful of the yahapalana machinations. Contrary to much publicized declarations by President Sirisena, Sri Lanka was being pursued by Western powers in accordance with the Geneva Resolution. The executive member of the National Joint Committee explained how the proposed constitutional reforms foisted on Sri Lanka could pave the way for regional governments. The constitutional expert explained the government strategy meant to empower Northern Province Chief Minister, retired Supreme Court judge C.V. Wigneswaran. Briefly explaining various measures that had to be implemented in line with the Geneva Resolution within the next one and half years, de Silva said that those who had risked their lives for the motherland were at the receiving end. Dr. Amarasekera said that present day rulers had pathetically failed to protect national interests much to the disappointment of the vast majority of people who believed that the May 2009 triumph over terrorism could transform the country. So called rainbow revolution in Jan 2015 had plunged the country into political crisis and today the government was busy pursuing a Western agenda to appease the Tamil Diaspora. 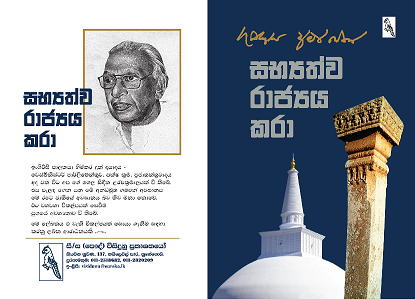 Dr. Amarasekera emphasized that whatever the media called the current administration it was certainly not a coalition. 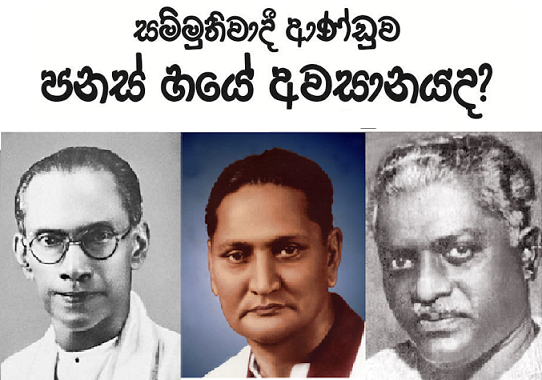 Although, a section of the SLFP loyal to President Sirisena had accepted ministerial portfolios, the UNP was clearly in control. 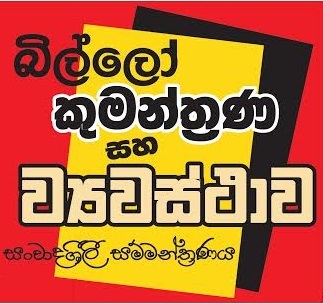 The veteran writer explained the UNP project that brought SLFP General Secretary Maithripala Sirisena into power three years ago to undermine the Rajapaksas’ achievements. 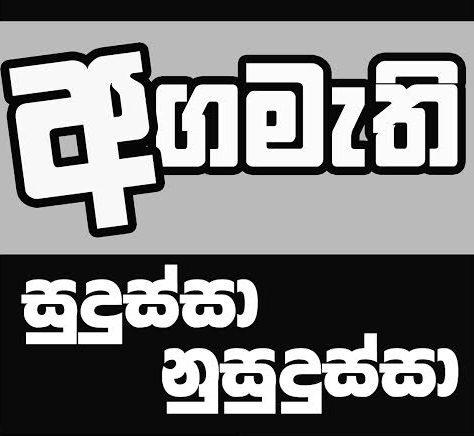 Having contested the last presidential election under hansaya symbol, Sirisena was nothing but a pawn whose office was being utilized by the UNP to transform Sri Lanka, Dr. Amarasekera said. The country would be certainly in a far worse position at the next year’s celebrations, Dr. Amarasekera warned, calling for the formation of new front to promote and protect national interests. President Sirisena couldn’t be expected to represent their interests as he was under the thumb of Wickremesinghe. Gevindu Kumaratunga said that 70th anniversary celebrations should be examined against the backdrop of Geneva Resolution and Western powers recommendation of a new Constitution, a move meant to do away with Sri Lanka’s unitary status. Kumaratunga alleged that those who celebrated independence were busy conspiring against their own. Kumaratunga and Sarath Weerasekera urged the electorate to be aware of the dangers posed by the unholy UNP, SLFP (Maithri faction) and JVP combination. They said the forthcoming local government poll would be crucial in a sense that it could help shape Sri Lanka’s future. 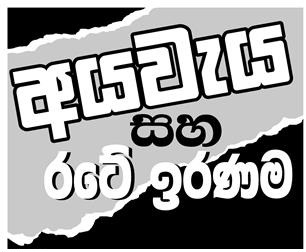 Yuthukama representatives urged the electorate to reject UNP, SLFP and the JVP though they were contesting Feb 10 poll on their own. 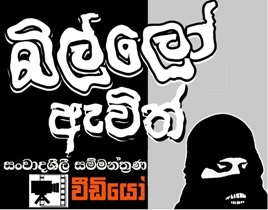 Weerasekera complained that movie Gamini that was to be telecast on Derana yesterday wasn’t shown due to powerful intervention. The naval veteran alleged that those who felt threatened by such movies for obvious reasons opposed people who reminded of the scourge of terrorism. Weerasekera pointed out that the country was denied an opportunity to watch transformation of the home guard service to a force capable to playing an important role at a crucial time in Sri Lanka’s war against the LTTE.